If you destroy one part of the social safety net, those in need will turn to what’s left. America’s social safety net, such as it is, has recently come under some scrutiny. Chana Joffe-Walt’s in-depth exploration of the increase in people getting Social Security Disability benefits at NPR got many listeners buzzing. Then in The Wall Street Journal, Damian Paletta and Caroline Porter looked at the increase in the use of food stamps, called SNAP. All three journalists look at the increasing dependence on these programs and come away puzzled: Why are so many people now getting disability and food stamp payments? The answer is twofold. Recent trends give us the first part of the explanation. Yes, as Paletta and Porter note, the economy is recovering and the unemployment rate is falling. But, as they recognize, the poverty rate is also rising. And therein lies the rub: people are getting jobs but staying poor. The available jobs are increasingly low-wage and don’t pay enough to live off of. And the big profits in the private sector haven’t led to an increase in wages. GDP and employment may be doing well, but that hasn’t done much for those at the bottom of the totem pole. As the WSJ article points out, 48.5 million people were living in poverty in 2011, up from 37.3 million in 2007, a 30 percent increase. This is despite an unemployment rate that’s fallen off its peak. 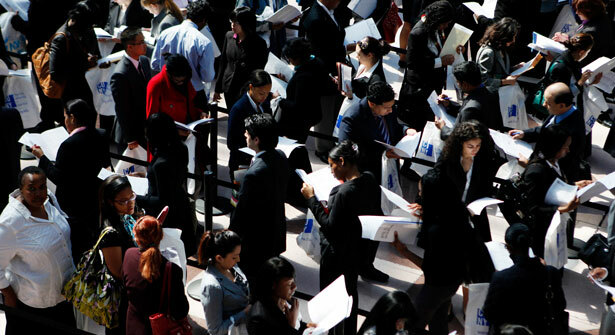 Some of the fall in the unemployment rate has been driven by people simply giving up on looking for a job altogether. But those who do get jobs are likely trading their once middle-class employment for low-wage work. The National Employment Law Project has found that mid-wage jobs have been wiped out during the recovery in favor of low-wage work: low paying jobs grew nearly three times as fast as mid-wage or high-wage work. But there’s a deeper explanation that goes beyond the current economic picture. Aren’t there other programs for the increasing ranks of people living in poverty to turn to? Unfortunately, we’ve worked hard to weaken key parts of the safety net by changing how programs operate and then cutting back on their funds. Consequently, the number of people who are reached by programs for the poor has shrunk. But when you take away someone’s lifeline, they don’t stop needing it. So they either suffer hardship or find support elsewhere. What disability insurance and SNAP have in common is that they are fully funded by the federal government, which also can set the eligibility requirements. While states narrow eligibility requirements for TANF or unemployment insurance, the federal government can leave them (relatively) more open for SNAP and disability. That leaves them absorbing those who we’ve thrown off the rolls of other programs. Unlike the federal government, states have constrained budgets and most have to balance them every year. These budgets get even tighter in a downturn when people lose jobs and don’t pay as many taxes. On top of this, states have come under pressure from business groups during good times to reduce the contributions they use to fund the reserves that pay out benefits when things get tough. So many states have cut back on eligibility or benefit amounts in light of squeezed budgets. Given all of these constraints on benefits, only about a third of all children whose parents were unemployed at some point in 2011 actually saw any unemployment insurance benefits. They were far more likely to get food stamps, a federally funded program that has been much more flexible. This story of a program financed by states that hasn’t been able to keep up with demand is the same for another huge part of the social safety net: welfare, or as we know it now, TANF. TANF does even worse than unemployment: it reaches just 10 percent of the children living with unemployment parents and just 30 percent of those living in poverty. The program used to do much better: in 1996, it reached 70 percent of poor families with children living in poverty. But then there was welfare reform, which turned it from a cost-sharing model to a block grant. Rather than the federal government sharing the costs with the states, the government now doles out lumps of cash and mostly lets states handle the rest. That lump doesn’t change even if the economy gets worse and more people live in poverty—and hasn’t even kept up with inflation. While welfare reformers initially claimed victory as rolls fell during a booming 90s economy, the numbers have continued to fall even as jobs have disappeared. The poverty rate among families is back up to 1996 levels, but TANF’s caseload has fallen by 60 percent since then. These families aren’t magically de-impoverished when they’re kicked off of government support programs. So they either go hungry or find other means of support. Enter SNAP and disability. SNAP has grown by 45 percent to meet increased need in the poor economy. The federal government was able to increase funding and waive some barriers to entering the program. Other than elderly disabled workers, those who sign up for disability are those who can’t even dream of finding a job that doesn’t require physical exertion and have no other income—thus leaving them with no where to turn but disability. After all, unemployment only lasts so long and TANF now comes with strict work requirements. Disability steps in when those with low education levels who live in communities based around industry—hard manual labor—lose their jobs and fall into poverty. This is what happens when you burn enormous holes in the fabric of the social safety net: people either fall through or cling to the remaining parts. We can certainly debate whether we want food stamps and disability to carry so much of the burden of supporting the poor and vulnerable. In fact, this all seems to point to the simplest answer, which is to just hand money to those in poverty rather than funnel it through these different programs that may or may not actually meet people’s needs. But what we shouldn’t do is assume that food stamps and disability are bloated programs because so many people rely on them and then jump to cutting them back. Poor people don’t disappear just because we slash the programs they rely on. They still struggle to get by. That’s the lesson we should have learned over the past two decades. Chicago is planning to shut down 54 schools this year—mostly affecting students of color. Read Allison Kilkenny’s report on mass resistance to the closings.